An excerpt from House of Mystery: The Magic Science of David P. Abbott Edited by Teller and Todd Karr. I am enclosing a letter from my uncle…You see by the letter he has faith in the Bangs Sisters, Chicago.... They sport autos, numerous diamonds, and are in clover generally; get three dollars per sitting and big prices for pictures and materializations…. Uncle A.W.F., however, is convinced there is no fraud in the spirit photo which he obtained of his little girl, as he and other members of his family saw the pictures gradually appear on a large canvas (picture is a large wall picture) which was placed in the window. “No possible chance for fraud,” he avers. Although Father has been shown conclusively that his own pet mediums are completely fraudulent, he still thinks there are some genuine phenomena and that the Bangs Sisters are OK. It would be such a revelation to so many people if you would write up the Bangs Sisters’ methods, giving details. I think they would be readily entrapped. Can you not do this, Mr. Abbott? The sisters who had duped Foreman’s father, Lizzie and May Bangs, had honed their craft over several decades, offering an array of spirit-related services before eventually focusing on their novel, high-paying ghostly portraits. Abbott’s moral side wanted to help these victims by exposing the secret of the Bangs’ spirit portraits. But he was probably just as intrigued with uncovering the method for what sounded like an almost perfect magic effect: the miraculous materialization of paintings in full view. Visual effects were rare enough in that age of cones, covers, and curtained cabinets, but a gradual unconcealed appearance was almost unheard of. In their usual procedure, the Bangs Sisters began by sealing a photo of the client’s loved one between two slates, then sending the customer away until the next day when conditions would be better. When the victim returned, he climbed to an upstairs room in the sisters’ home and was seated facing a window. The sisters displayed two large canvases stretched onto wooden frames, placed them face to face, and positioned them vertically in front of the window. The bottom edges of the frames sat on a table just beneath the window. The sunlight from the window glowed through the white fabric of the canvases. To block any stray light, the mediums draped curtains on the sides and top of the frames. The sisters then sat at the table on either side of the window, each with a hand on one side of the canvases. After a dramatic wait of perhaps twenty minutes, the sitter began to see patches of darkness and color gradually materialize between the translucent canvases. The shapes gradually became sharper and more vivid until they formed a fully defined portrait of the sitter’s deceased beloved. The mediums then separated the canvases and displayed the result: an impressive painting the client could hang on his wall...once he had paid the Bangs’ hefty fee, of course. The Bangs’ secret was a unique advance in magic. It sounded so astounding that magicians doubted the reports could be accurate. The effect, though, was indeed so magical that — once Abbott had unraveled the technique — inventive genius P. T. Selbit was able to tour Europe and America with just the Spirit Paintings as a stand-alone act, followed by several competing versions presented by various vaudeville performers. Later, Howard Thurston — then America’s top touring magician — arranged with Abbott to secure performance rights for his show. The Bangs family moved to Chicago in 1861 from Atchison, Kansas (interestingly, also the hometown of another of Abbott’s fascinations, Wonder Girl psychic Gene Dennis). Their father Edward (born in Massachusetts around 1828) was a tinsmith and stove repairman; their mother Meroe was a medium herself and recruited her young children into the act. The eldest daughter, Elizabeth Snow Bangs — known as Lizzie — was born around 1860. Her sister Mary — later known as May — was born about 1864. They had two brothers, W. B. and Edward. By 1872, the children could perform a variety of séance effects, as described in “An Evening with the Bangs Children” by Steven Sanborn Jones in the Religio-Philosophical Journal (August 3, 1872). Messages from the dead appeared on slates; chairs and furniture moved; when the children were tied with ropes and placed in a cabinet, a guitar inside was strummed and hands waved from within. At the conclusion, young May brought forth a “spirit kitten,” a hairless cat supposedly born in the afterworld. It must be remembered that these mediums are young children. There is not a particle of deception in their nature. Their hearts are free from guile, and in all their actions they exhibit the innocence of their nature. No one would accuse them of deception. Not yet, anyhow. Nine years later, on August 23, 1881, the Atchison Little Globe stated that May Bangs and her mother, now reportedly living in Chicago, had been arrested “for doing business without a license.” The pair argued that they were evangelists and that such a charge could not be made against a minister. One of their clients was Henry Jestram, a wealthy Chicago photographer. Shortly after Jestram became a regular attendee at their séances and spent much of his fortune paying vast sums to the sisters, he went insane and was committed to an asylum. Many newspapers blamed the mediums for Jestram’s death (see the Hornellsville [New York] Weekly Tribune, April 20, 1888). In a spectacular arrest on April 2, 1888, two plainclothes detectives attended a Bangs séance and witnessed a series of spirit entities emerging from a cabinet. When a ghostly Russian princess in a regal gown made her appearance, the detectives seized her; she resisted furiously, throwing punches madly. One of the lawmen announced, “I have a warrant for you, May Bangs,” whereupon the princess’ mask fell off, revealing the medium. The sisters and their male attendants put up such a struggle that the policemen finally drew their guns to clear the room. Editors had a field day with the sisters’ marital dramas. Lizzie was married and divorced once; May married four times. In November 1890, May – already divorced from a first marriage – was granted a divorce from wealthy chemical manufacturer Henry H. Graham. Their brief, drama-filled liaison had begun during an 1887 séance in which Bangs told the newly widowed Graham that his dead wife had contacted her and said he should marry the medium, adding that his deceased infant had also sent a message: “Dear papa: I would like this lady for my new mamma” (Chicago Daily Tribune, April 17, 1890). Within two years, Lesher was penniless. “Business tips from the spirit world are blamed for the failure of Jacob H. Lesher, formerly rated a millionaire, and the husband of May Bangs, a ‘spirit painter,’” the Chicago Daily Tribune reported on July 16, 1909. In the early 1890s, a Chicago grand jury attempted to indict the Bangs Sisters but failed due to technicalities, according to the Chicago Daily Tribune (March 7, 1890). In 1891, a bill was passed by the Illinois Senate “prohibiting anyone from personating the spirits of the dead, commonly known as spirit-medium séances, on penalty of fine and imprisonment” (Chicago Daily Tribune, May 16, 1891). At least one Chicago spiritualist blamed the Bangs Sisters for this new law, saying that although “they were gifted with unearthly powers, their greed for gold had led them to abuse it” (“Spooks Go on a Strike,” Chicago Daily Tribune, June 8, 1891). In 1893, the pair produced spirit typewriting in sittings with G. W. N. Yost, the inventor of a typewriter, bringing forth typed spirit messages pecked out by the spirits of celebrities ranging from Moses to assassinated U.S. President James Garfield. The inventor sought more such messages from another medium, who soon left Yost broke (“A Ruined Man: Inventor Yost the Prey of Mediums,” Los Angeles Times, July 6, 1895). Venturing out of Chicago to Massachusetts, the sisters again made headlines in 1894 by conducting a bizarre wedding in which they married a wealthy woman to the departed spirit of her dead fiancé (Fort Wayne Sentinel, September 10, 1894). From 1895 to 1899, the sisters continued to produce slate writing for their Chicago customers and conducted twice-weekly séances on Sundays and Wednesdays at their home, advertising their services in the Chicago Daily Tribune. In 1900, an English investigator of psychic phenomena, Reverend Stanley L. Krebs, scheduled a sitting with the sisters, secretly intent on determining the method of their slate writing. His extraordinary exposé, “A Description of Some Trick Methods Used by Miss Bangs of Chicago,” was published in January 1901 in the British Journal of the Society for Psychical Research. Following their standard procedure, the Bangs Sisters asked Krebs to bring with him a sealed envelope containing a letter he had written to a deceased friend, along with blank paper for a reply. To better detect any deception, Krebs brought a small mirror, which he positioned in his lap once he was seated at the séance table, giving him an excellent view of any trickery occurring below the tabletop. Lizzie Bangs sandwiched Krebs’ letter between two slates and tied them with twine. But when she briefly turned her back, Krebs slyly examined the slates and found that the medium had quietly slid a small wedge between them, opening a slight gap between the slates. Moments later, Bangs turned back and Krebs, thanks to his mirror, saw her pick up the slates and allow his letter to drop into her lap. As Bangs attempted to distract Krebs by making wild guesses about his dead friend’s name, he saw her bend down and place the letter onto a sort of small, dark-colored tray on a long handle, which was then drawn backward under the door behind the medium. Krebs later surmised that May Bangs was on the other side of the door, unsealing his envelope and reading the letter. About ten minutes later, Krebs saw a piece of paper being slid back into the room from under the door. Under the pretense of shifting her position in the chair, Lizzie Bangs bent down, picked up the slip, placed it on her lap, and quickly read it. She immediately began reciting names which she said came from the spirit world, though obviously all this information was mentioned in Krebs’ letter and had been jotted down by May. After several more minutes, he spied his envelope being secretly slid back into the room. The medium stooped to pick it up and, under cover of more distractions, secretly slipped it back between the slates and removed the wedge. She then allowed Krebs to untie the slates, open his sealed letter, and read the spirit messages on the papers, which of course had been written by the very alive May Bangs. Unfortunately, the Chicago media seems to have paid no attention to Krebs’ essay and sitters continued to flock to the Bangs home. Krebs concluded his article by mentioning that “…after the whole was over, I arose and thanked Miss Bangs for the most interesting exhibition she had given me, whereupon she kindly offered still more, namely, to take me into her sister’s house and show me the ‘spirit portraits’ there.” Unfortunately, Krebs did not accept Lizzie Bangs’ offer, leaving the spirit paintings a mystery for several more years. The spirit portraits brought the Bangs Sisters more renown and income than any of their previous spirit specialties like slate writing. Spirit photographs had been popular items for years with many Spiritualist mediums, who could make a good living selling these double-exposed photographs, but as the Bangs Sisters discovered, they could charge truly exorbitant fees if they gave the sitter a large artwork he could display in his home as a treasured memento. The mediums told their clients the paintings were created by the spirits through a mysterious process known as “precipitation.” Displays of “precipitated spirit portraits” created by the Bangs Sisters can still be seen on display at Spiritualist centers like Camp Chesterfield and Lily Dale. In 1905, at the age of 73, after nearly 2000 séances, he was caught in deliberate fraud in Manchester. He brought the spirit paintings ready-made to the séance room and attempted to exchange them for the blank cards which the sitters provided. On being forcibly searched, the original cards were discovered in his trousers. Around 1888, a corpulent female medium and frequently jailed con artist known as Ann O’Delia Dis Debar (among many other pseudonyms and spellings) made headlines in New York when she was tried and imprisoned for swindling wealthy lawyer Luther Marsh. Dis Debar had sold Marsh dozens of paintings supposedly created by the spirits of prominent artists, including one work called “The Circumcision” that she attributed to Rembrandt. Dis Debar’s method was nothing like the Bangs’ later gradual visible appearances. In one account, she or her accomplice switched a blank canvas for a painting as she led her sitter out of the room; another visitor said he witnessed the switch when he happened to glance in a mirror in the séance room (New York Times, March 31, 1888). Harry Kellar used the Dis Debar case as an opportunity for newspaper coverage in the Los Angeles Times, suggesting several possible methods (“Spiritualistic Fraud,” May 16, 1888). One of his outlandish proposals was that the medium used a trick easel with a painting on one side and a blank canvas on the other; a slide projector would gradually form the picture on the white canvas, then the real picture would pivot into view. Kellar also suggested that an invisible picture could be painted with certain chemicals which would develop when brought into a hot room or wiped with a damp sponge. These farfetched theories are surprising given Kellar’s knowledge of magic methods, though in his defense his farfetched theories sound no more outlandish than some of those David P. Abbott proposed during his later search for the Bangs Sisters’ secret technique. Buatier de Kolta also inserted a painting materialization into his show around this period. At the Eden Musée in New York on December 22, 1891, De Kolta included “a very pretty drawing trick, the climax of which was the sudden appearance of a portrait of [New York congressman and governor] Roswell P. Flower in true Dis Debar style,” the New York Times review noted (“A New Magician,” December 23, 1891). Another possible method used by Dis Debar was proposed years later at a sale of her paintings from the estate of bilked lawyer Luther Marsh. The auctioneer stated that Dis Debar had obtained over 100 paintings from an art collector to use in her swindle. “…powdering the pictures over with chalk, (she) would slowly erase it in a darkened room and tell Mr. Marsh that her hands were being guided by the great masters of painting, and had as her proof the works exposed to view when the lights were turned on” (“‘Spirit Paintings’ Sold,” New York Times, October 30, 1903). This messy method of concealing the painting by covering the canvas with a white substance — such as whitewash or zinc oxide — has since been suggested many times in magic literature; this article on Dis Debar, may indicate that this seemingly impractical technique was actually put into practice. As early as 1894, the Bangs Sisters were producing spirit paintings, according to a letter from May Bangs quoted in James Coates, Photographing the Invisible (1911). At that time, however, they were not yet using their visually astounding rear-lit technique. Instead, they sealed the blank canvas in a box; when opened a few days later, the painting had appeared on the canvas. In the sitter’s absence, of course, the mediums just unsealed the box, switched canvases, and resealed the case. It was necessary to curtain the canvas, and several sittings were required to finish one picture. Then locked boxes were used, but all these processes, where the canvases were out of the sight and control…of the visitors suggested the possibilities of fraudulent procedure and of changes made to that effect. Latterly, the pictures have been obtained in broad daylight and are finished in one sitting lasting about twenty to forty minutes. Around 1898, another duo of mediums, known as the Campbell Brothers – actually two companions, Allan B. Campbell and Charles Shourds – made paintings appear in a style similar to the Bangs Sisters’ later backlighting method (cited in Joe Nickell’s article “Spirit Paintings” on csicop.org). The Campbells stood a large canvas on a table in front of a window in a dimmed room, the medium and a spectator sat at the table, and a silken curtain was drawn in front of the canvas. The veils were parted periodically to allow glimpses of the gradual materialization of the painting. The Campbells’ presentation sounds so remarkably close to that used by the Bangs Sisters that it seems likely that the sisters learned of their colleagues’ method and adapted it for their own home séances, though perhaps both duos procured the same secret from some other source. It has just come to general notice that two women, the Bangs Sisters, carry on a thriving trade in Spiritualism among people of high commercial and social standing; that “people you wouldn’t have believed it of” consult them as oracles, believe in their utterances, in the pictures they bestow upon those favored by the spirit artists…. Who buys them, or rather who pleads for them and, incidentally, pays for these medium’s troubles? Well, such as these: doctors, lawyers, and women, of course. What do they pay for these works of art? Anywhere from $15 to $150. There he sat before a bare canvas in a darkened room...On one side was Mary Bangs and on the other, Elizabeth. Softly they communed with the spirits of “departed artists” until one consented to paint the picture, through the mediums, for the wealthy publisher. Slowly, a beautifully tinted portrait of a deceased relative of the minister was thrown upon the canvas. 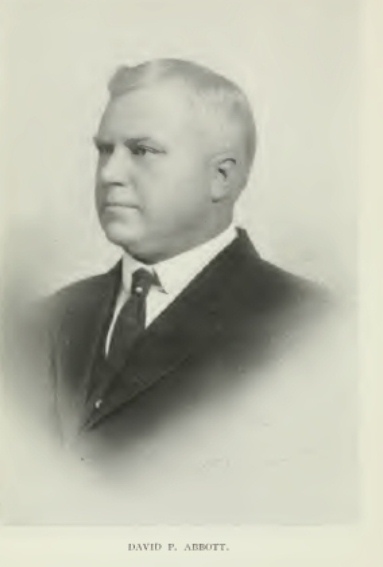 The newspaper also noted that a Chicago judge, Joseph E. Gary, was a Bangs patron. In 1905, the Illinois State Attorney stated in an article (“Bangs Sisters Interest Police,” Chicago Daily Tribune, February 28, 1905) that fraudulent mediums could be prosecuted for obtaining money under false pretenses. The Bangs Sisters somehow managed to escape prosecution, except for a minor case years later in 1908, when the police arrested May for violating the city’s fortune-telling law; she was released after paying a $25 fine (Chicago Daily Tribune, July 30, 1909). The mediums’ success provoked explanations of how they made their portraits appear. As with the Dis Debar paintings, the suggestions were based almost exclusively on speculation, since no skeptic seems to have been willing to pay the fee to actually witness the painting process in person. In “How Ghosts Paint Spirit Portraits” (Chicago Daily Tribune, February 26, 1905), for example, a local printer proposed that the blank canvas was switched under one of the sisters’ skirts for a prepared painting wrapped in several layers of tissue that could be progressively removed to make the portrait gradually appear. The anonymous and apparently well-informed reader also stated that the finished paintings were actually enlargements of the sitter’s photograph that had been airbrushed over by an artist named Day. The reader’s observations were the basic method for half of the Bangs’ procedure. The sitter had to bring along a photograph of the relative they wished to have painted. 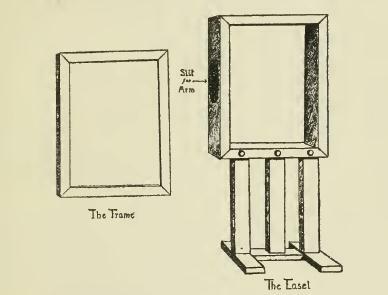 The sliding-letter switch under the séance-room door, described by Reverend Krebs in his 1901 slate-writing exposé, was used to smuggle the sitter’s photo out of the room, though other visitors reported being instructed to leave their photo in their coat in the hallway, where of course it could be easily pilfered. The Bangs Sisters next insisted on continuing the séance another day, giving them time to take the photograph to an artist to prepare a larger version on canvas in time for the sitter’s next appointment. As a result, the portraits invariably mirrored whatever image the sitter brought along. If for some reason the sitter had no photograph, the mediums used a stock portrait with loved one’s basic age and gender, explaining away any inaccuracies with the excuse that the image showed how the relative now looked in the spirit world. The sisters added two other convincing details that astounded the sitter even more. First, the customer could feel that the finished painting was apparently still wet, giving the impression that the work had been freshly painted by the spirits. Later investigators like Hereward Carrington suggested the effect could have been created simply by smearing linseed oil over the painting’s surface prior to the sitting. Carrington’s idea is supported by one report noting that the mediums placed two thin sheets of paper between the canvases before the painting appeared; if linseed oil was used, this paper would have prevented the oil and any potentially dampened paint from smudging onto the blank canvas; see W. Usborne Moore, Glimpses of the Next State (1911). The second convincing nuance was that after the front canvas had been removed and the finished painting was revealed, the mediums used the power of suggestion to convince the sitter that the portrait was still being painted by the spirits before their very eyes, excitedly shouting that the face’s eyes were opening or that details were appearing on a locket or ring in the picture. At 7:30 p.m., I returned to the house and found the picture had undergone further improvements, especially in the sky and background. I mentally desired that the locket should be made larger, and that the monogram should be impressed upon it. My next visit was at 10:20 the following morning…I then found that the monogram had been imprinted on the locket…and the locket itself had been enlarged. All these fine points challenged the ingenuity of would-be exposers of the Bangs’ spirit paintings. The publisher of The Progressive Thinker even offered a $100 reward for an exposé of the Bangs Sisters’ method. One of the sisters’ devotees was Dr. Charles H. Carson, the wealthy Kansas City head of the Temple of Health, the Magnetic Mineral Springs, and the College of Psychic-Sarcology. In 1908, Carson included over a dozen Bangs Sisters paintings in a self-published book of writings supposedly composed by the spirit of his dead wife, entitled Through the Valley of the Shadow and Beyond. As their renown grew, the Bangs Sisters occasionally took their painting act to Spiritualist collectives like Lily Dale, materializing a sample portrait onstage to promote private sittings after the show. The controlled conditions of their Chicago home, however, proved elusive onstage. In a 1910 demonstration for the Kansas City Society of Spiritualists, the Washington Post reported, “something was the matter with the lights in the building, which situation prevented this part of the performance.” At another appearance, the lamp used to illuminate the canvases set fire to the sisters’ equipment. The mediums mercifully took less time onstage to make their paintings appear than they did at their home, where the process could take almost an hour. During a 1909 Camp Chesterfield show, for example, they required only eight minutes to produce a painting (James Coates, Photographing the Invisible, 1911). David P. Abbott pondered the secret of the Bangs Sisters’ paintings in correspondence with Open Court magazine readers, eventually collected in the journal as a series of letters on “Spirit Portraiture” and later in the appendix of Behind the Scenes with the Mediums in 1907. To explain the paintings, Abbott needed to solve several major puzzles. How did the mediums obtain a photo of the sitter’s loved one? (Abbott had apparently missed Krebs’ account published in England.) How did the image gradually appear on the canvas? How was the blank canvas switched for the finished painting? And how did all this occur in the simplest of settings in a small room on an upper story of a neighborhood house? In his first attempts to resolve these questions, Abbott proposed a variety of improbable methods that widely missed the Bangs’ simple procedure. Abbott suggested that the mediums could have copied the sitter’s photograph by having a hidden assistant in the room taking pictures through a telephoto lens. For the gradual development of the paintings, Abbott thought mechanisms hidden in the window sill might somehow spray invisible chemicals onto the canvas. Abbott discussed the problem in his letters to his publisher Paul Carus, typing page after page as he considered complicated methods like concealed slide projectors and mechanical switching tables. I wish to tell you something wholly on the quiet: I have had a number of sittings with the famous Bangs Sisters of Chicago. I know, I think, all of the explanations that have been given by various persons…. I have made a large number of experiments with them and, notwithstanding all the exposures that have been made, I would like to have you — when in Chicago — to call upon them and make a test, that is, providing they have no means of recognizing you…. Have some wee mark on the frame facing you that you know of but nobody else knows of, and see to it that there is no substitution of frames. It would be absolutely necessary that you do not exhibit the slightest suspicion. Of course, let it be understood that you are investigating, perfectly willing to accept the truth, whatever the truth is. Do not mention — directly or indirectly — my name to them. Now, if some time you are in Chicago and do this, I will bear the expense of getting the picture from the mediums, which was $30 or so when I saw them last. The time and expense of the trip undoubtedly deterred Abbott, who was in the midst of proofreading Behind the Scenes with the Mediums in addition to running his loan business. Abbott wrote Carus in 1908 that he was trying to convince Funk to take a magician with him on his next visit, perhaps Joseffy. Dr. Funk eventually sent Abbott’s friend Hereward Carrington to visit the Bangs Sisters. Carrington — a prolific writer, psychic investigator, and one-time magician — detected the mediums cheating in their slate demonstrations and reported their fraudulent methods in the British Annals of Psychical Science (July-September 1910). The sisters, however, refused to demonstrate their paintings for Carrington. In 1908, through an intermediary, Abbott contacted Philip H. Meyers, the inventor of the original Talking Teakettle who back in 1905 had claimed in the Chicago Daily Tribune to knew the secret of the Bangs portraits. Abbott had his Chicago friend Ralph W. Read try to negotiate a purchase. Meyers’ price for the secret of the paintings was too high for the men, but he sold them what he said was the Bangs’ slate-writing secret. To Abbott’s disappointment, it turned out to be just a common technique that Abbott already knew. True to his financially prudent ways, Abbott decided to forego any further expense and instead experiment on his own. This money-saving move began a hands-on experimentation process that soon led Abbott to the long-sought secret. On February 18, 1909, Abbott excitedly wrote Carus: “I really believe I have solved this secret by reason alone.” His joy was premature. His latest incorrect solution seems to have been a mechanism that would wind up layers of silk covering the painting, gradually allowing more light to penetrate the canvases as if the painting was gradually developing. I decided yesterday that while theories are all right and should precede experiment, that I should try out my theory in actual practice. I built a quarter-sized model of a screen. I designed one that would roll up or unreel the silk rapidly or slowly. It was but 1/8-inch thick. I made three frames and tacked canvas on them. One was a picture, size nine by fourteen inches. I placed a table and the canvases in position, lowered the blinds, and pinned on the side blinds as per directions. Now, all of this brought about an unexpected result. First, I arrived at the conclusion that no screen is used in actual practice, notwithstanding what Read says, or my own theories; and second, I made the discovery of a new principle which surely is the correct one. It is so absurdly simple that at first sight one would give it little credence, but after two hours of actual experiment I cannot help but believe it is the right thing. Simplicity is really in its favor. Mediums seldom use much paraphernalia, as they must always be prepared to “make a quick getaway.” So whatever is used, we must expect it to be something simple. In fact, the simple things have always produced the greatest effects. Now, what I discovered is this: If two canvases be faced together and in position, and if there be upon the rear canvas a portrait in transparent colors (pastel, crayon, airbrush work, etc. ), this — to be plainly visible — must be in actual contact with the surface of the front canvas. At a distance of 1/8-inch, the outlines begin to be indefinite — not sharp; at a quarter of inch, much more so, while at a half-inch (the) image is very confused in appearance and looks like a view from a lantern out of focus, a cloud of color, etc. At a distance of one inch, the image appears to be some confused shadows, and at two inches’ distance, all trace of the portrait has disappeared. Now it is only necessary for the rear canvas to be slowly moved toward (or from) the front canvas to cause the picture to materialize or to fade out precisely as described. The motion must be slow and uniform, and is very difficult to control by hand…. I can best compare the effect produced to what one witnesses when viewing a lantern slide wholly out of focus, and then see it slowly brought into focus. First there is not even a shadow; finally some indistinct shadows appear; these soon seem to be an indistinct cloud consisting of some colors mingled together. These gradually change into the image but with quite indistinct outlines which become more and more sharp until the picture appears quite plain and sharply defined, yet it shows a slight smoky effect caused by looking at it through a canvas and viewing it by transmitted light. All of this corresponds exactly with the descriptions I have received of the effect. It would appear just like a lantern image, only it would not be this, and the picture would really be in the window as is claimed. Carus wanted to publish Abbott’s explanation in The Open Court. But before publishing his findings, Abbott wanted to understand the Bangs’ entire procedure. Despite discovering the simple methods that produced the paintings, Abbott continued proposing complicated ideas to explain the remaining details of the Bangs’ technique. In letters to Carus, Abbott suggested that the blank canvas was initially switched for the painted one using an elevator device built into the walls of the Bangs’ home, with a secret assistant below exchanging the paintings. To explain the post-appearance alterations — which the Bangs Sisters created through mere suggestion or by adding changes in the sitter’s absence — Abbott envisioned a complex systems of colored patches controlled by threads, or else areas on the canvas that could be individually developed with chemicals. I do not know how far you would go in testing your hypothesis, but assuming your solution to be the correct one, you could at the moment when everything is ready for a séance pounce on them, and have the artist as well as the Bangs Sisters arrested on a charge of obtaining money under false pretenses. It would be necessary for you to have some friend go to the sisters and make arrangements for a sitting. He has to spy out where the window sill with the trap is, which window is used, so you can locate the place where the artists work underground. You must make sure of the several accesses to that place, whether it is in the basement, and whether you could enter without breaking through doors, perhaps through the windows by breaking the window panes. You ought to speak with the sheriff through whose authority you could make an entrance, and take a search warrant out against the Bangs Sisters and their accomplice so as to be able to pounce on them at the moment when a séance is going on. The arrest need not even be made, but only the utensils seized, the trap inspected, and the gauze material and whatever else there may be taken away. There is not even any necessity for carrying the matter before the court. You can drop proceedings as soon as they are at bay. It would certainly be a proof that your theory is right, which could not be contradicted by any believer. As Abbott recounted in his story of the Spirit Portraits in The Book of Mysteries, English spiritualistic investigator William S. Marriott contacted Abbott in August 1909 to inquire about the Bangs Sisters’ paintings. Abbott innocently shared his findings, whereupon Marriott not only built the necessary equipment but also went on tour in England presenting the appearance of the paintings as a vaudeville act. In England, Marriott became acquainted with one of the Bangs Sisters’ most devoted clients, the decorated but self-deceiving British Vice-Admiral W. Usborne Moore, mentioned earlier as the author of Glimpses of the Next State. In 1909 and 1910, Moore had visited the mediums to contact his spirit guides Iola, Hypatia, and Cleopatra and had purchased several portraits. Typical of true believers, Moore discounted any reasonable explanations of the Bangs Sisters’ phenomena. Although Marriott showed him Abbott’s method for materializing the paintings, Moore steadfastly maintained that the sisters would never rely on such trickery and that their conditions at home were different from those of a stage performance. By this time, Marriott had licensed P. T. Selbit to perform the Spirit Paintings act and in 1911, Abbott saw his own solution being presented by Selbit, billed as the creation of Dr. Wilmar. The gentlemanly Abbott accepted Selbit’s explanation gracefully. That year, while Abbott was still attempting to clarify the final details of the mystery, two books were published discussing the Bangs Sisters: Moore’s 642-page Glimpses of the Next State and James Coates’ book Photographing the Invisible: Practical Studies in Spirit Photography, Spirit Portraiture, and other Rare but Allied Arts, which devoted an entire chapter to the Bangs Sisters. These works, which described the mediums’ séances in detail, may have supplied the pieces of the puzzle that Abbott needed. A few years later, Abbott completed his long essay on the Spirit Portraits, which The Open Court magazine published in April 1913. Later in 1913, Carus also released the article as a separate booklet, The Spirit Portrait Mystery: Its Final Solution. Selbit’s tour allowed many magicians to see the effect, and because its secret was not overly difficult to unravel when seen in person, a number of performers began to present their own versions. Vaudeville magician William J. Nixon performed his Spirit Paintings in his stage shows. An Australian painter named Henry Clive, who later became a renowned illustrator, toured with his rendition in the 1920s. Abbott’s hard-earned secret was soon common knowledge in the magic world. Nixon published the technique in his 1916 booklet, The Spirit Paintings. Will Goldston exposed the secret in his Annual of Magic 1915-1916. Alexander included the effect in his book The Life and Mysteries of the Celebrated Dr. Q in 1921. By the 1930s, Thayer’s Magic Company was selling a ready-made version in their catalogs. Nonetheless, this very visual effect is today rarely seen. Like many magic effects, the Spirit Paintings can today be all too easily explained away by audiences as the result of electronics. As for the Bangs Sisters, by the time The Open Court published Abbott’s exposé, the mediums had largely dropped from sight. The 1920 U.S. Census showed May still living in Chicago but does not mention Lizzie. My research has so far revealed no further record of either sister. We do not know if Abbott’s revelations prevented the Bangs Sisters from duping more victims like A. W. Foreman, Charles Carson, or W. Usborne Moore. At the very least, however, it seems likely that once the Spirit Portraits hit the vaudeville stage, it would have been more difficult for any mediums, even the experienced Bangs Sisters, to convince a customer that their paintings came from the hands of spirits and not from their own. Thanks for that posting Mark, last week I downloaded all of Abbott's writings in Open Court. They followed on from research about another topic in that magazine. have been a party, albeit in a passive character, to its gradual disclosure. in the cathedral of her native city. reaped the pecuniary rewards. P. C.
and he finally died without any one claiming the reward. has been presented from the theatrical stage as a magical creation. in America at a large salary. The great American magician, Mr.
2 THE SPIRIT PORTRAIT MYSTERY. are ready to stake their lives on this work." book, Two Years in Heaven by "Rose the Sunlight." Given the support the Bangs Sisters had received I had never really considered the aspect of fraud. It is only recently that I have come accross all this materil so I need to take a long hard look at it. I have just ordered Through the valley of the shadow and beyond Kissinger press have grabbed it through Google so its not downloadable. I have downloaded Two Years In Heaven intending to take a good look. I am not going to give up on the Bangs yet although my memory suggests there is something else out there too which is suggestive of fraud. As to the fraudulent use of slates that is old hat and all to many of the communications were fraudulent. Yes choosing which past mediums to stand behind as entirely genuine (even if at times as human beings not 100 % effective on all occasions), which were intermixing both real and fraudulent as Palladino appears to have done, or those who were just plain fraud. In the latter two categories some just moved away from any claims of Spirit intervention making their acts "mystery acts", having been exposed several times the Davenports changed to that and after her first two years Anna Eva Fay moved to pure Vaudeville. Very good point Jim, thanks. "spiritualistic" seance. While , the "spirits" were displaying' themselves the officers seized one of the medium. A search revealed a satchel with white muslin shrouds and the like, three sets of whiskers of different hues, five wigs, moustaches, and a great variety of make-up material, such as is used by. actors. They also found that in the cabinet was a curtain that ran aill through the centre of it, making two compartments, and also a side entrance which admitted the "spirit" operator behind the curtain. who are young and good looking, claim to have been in the medium business since they were small children. the medium of the Bangs sisters, at whose seances he was a regular attendant. that the officers were compelled to draw their revolvers the clear the room. sisters were then loaded into a patrol wagon and taken to the station and locked up. So clearly early in their career they were pulling the old dark seance tricks then were caught on slates later on. I admit it does not look good. Great posts Jim. Arthur Ford is another medium that comes to mind. Much suspicion surrounded him over the Houdini/Rosebelle message, and there were questions whether it was received by true psychic means, or just clever research. Ford did demonstrate outstanding clairaudience, especially in the presence of Conan-Doyle, when Mrs. St. Clair Stobart organised a series of lectures and demonstrations for him at London's Grotrian Hall in the late 1920's. Reported by Conan Doyle in the Sunday Express, April 8, 1927. One of the most amazing things which I have seen in my forty-one years' psychic experience was the first appearance of Arthur Ford at a Spiritualist service on Sunday, March 23rd. He is the young pastor of the First Spiritualist Church, New York, and, like the teachers in the primitive Christian Churches, has the power to show as well as to explain the wonders of the Spirit World. After my address he walked to the front of the platform facing the thousand or more people in the hall. He is young, clean-shaven, alert, with a modest boyish bearing which is pleasing. He inclined his head like one listening, and then said: ''Is Peter Armstrong in this hall?'' A rather astonished-looking gentleman raised his hand. ''Well, they send greetings and love. ''Then I get another name, Sarah Edwards. Is she present? Please put up your hand! Your daughter is here, she says her name is Lucy. You are in trouble are you not? ''John Walker.'' Another hand went up. ''Well, he hopes you will go on. I give you that. So he went on, without pause or mistake, for twenty minutes, as a thousand can testify. And yet this young man had landed in England forty-eight hours before, and there was not, outside the platform, one person in that audience whom he knew. Great thanks Mark. Arthur Ford always interests me for some reason. For no particular reason, despite seeing a number of positive reports, I actually have a feeling he was genuine. vases from a dozen or more that were leaning against the wall. were leaned against the window which faced the south. life-like effect to the portrait. 4 THE SPIRIT PORTRAIT MYSTERY. the head became indistinct. The eyes went out into mere dark rings. with the marvel of the performance, that reason gave place to sentiment. was more rapid. The eyes opened again as before. was made, and the lines of the mouth were altered at his suggestion. a time. They changed in color from white to amber then to gold. of red, after which it mottled beautifully until the effect was superb. day after, I am more bewildered than when I saw the work done. power were they intelligently spread over one of them? to natural law and all human experience. "I expect to work out this problem somehow, somewhere, sometime. But there is no hurry. It will be the result of patient effort. canvas, the colors seemingly being pelted on in waves." lecturer, and President of the Missouri State Association of Spiritualists. a fire. The attempt was repeated in the evening with more success. and placed in front of an ordinary wooden soap-box. all of the main features are about the same as described by Mr. I also have a report from a gentleman by the name of Odell. remarkable mediumistic performance ever given in the world. but natural means were employed. in regard to some spirit portraits produced by certain famous mediums. given in my book is not the correct one. Chicago, The Open Court Publishing Co., 1909. * January and May, 1907. 8 THE SPIRIT PORTRAIT MYSTERY. DR. WILMAR'S RIDDLE OF THE CENTURY. Ordinary Canvasses Chosen by Themselves. entirely, and was utterly impossible without it. with one of the portraits as a souvenir. was his first knowledge of where the doctor had obtained the secret. price ever paid for a single illusion. Since the above date, Mr.
furnish me with the dates and amounts of his payments. time before the frame is set upon it or afterwards during the materializing. They are also permitted to examine it and the frame thoroughly. 10 THE SPIRIT PORTRAIT MYSTERY. within two feet of them. demonstration lasted twenty minutes. This was in London. to keep the matter secret. assistants above and below, etc., by which the eflfects might be duplicated. traps and no chance for assistants above or below to give any help. So I knew that this could not be the principle. simple that if a sitter 'grabs,' nothing can be found to use as evidence." —and hence the real trick is always executed sooner than is thought. 12 THE SPIRIT PORTRAIT MYSTERY. materialize and dematerialize the latter. rings, to open, bright eyes. searching, and without screen of graduated gauze, or apparatus. evenly diffused over it. This distance was about three inches. all of them within a half-inch. taking them out of the room. blanks may bring the portrait back unobserved when she reenters. 14 THE SPIRIT PORTRAIT MYSTERY. the sacredness of their skirts, to cover deception. examining them, and are really ashamed to exhibit further incredulity. the third or discarded cover canvas on the floor near the window. merely moved back out of focus. but they corresponded as above described. "the eyes will now open," impresses this effect upon the sitter's mind. the part of the spirits. 16 THE SPIRIT PORTRi\.IT MYSTERY. to yield to "superior persons who wield supernatural powers." of an alteration of the portrait in response to the sitter's request. it has been one of the wonders of the world. it to reappear, with the beautiful curls coming out as it progressed. 18 THE SPIRIT PORTRAIT MYSTERY. whom they are sure they can "handle." looking elsewhere, "where he has no business to," then look out. They will immediately be suspicious and something may happen. out in the hall, etc., so as to enable the mediums to get a "snap shot"
to him to be unimportant. Here is part of this report. to the studio the next afternoon, etc., etc." leaving her sight, and she wore it on her person for thirty days. lady believed in the spiritualist philosophy that "like attracts like"
* Italics in all these reports are the author's. 20 THE SPIRIT PORTRAIT MYSTERY. them because of the vast sums they handle or carry on their persons." to obtain this "money influence." one with the watch in it placed between them. slates on the table. I would follow my right hand with my eyes. the shadow effects by the advancing and receding motions. the etching, she could return it to her sister's lap in the same way. more exactly to his face in life than even to the photograph. picture was then framed and I carried the two with me to the hotel. not corroborate this point ; and if I could it zvould not be very satisfactory. 22 THE SPIRIT PORTRAIT MYSTERY. peculiarity marked the eyes of more than one member of her family. this portrait work for me, or at least her teacher did with her help. case something was said to me about my daughter's painting." work by which they make their livelihood. the home of a medium with whom he would be finishing a sitting. excuse to resist physically any attempt at touching or "grabbing." chance of this being a case where no portrait is to be produced. solved this mystery in its principal details. canvas viewed through a blank canvas by transmitted light. I could not see it, for it took place in such a way that no one could. 24 THE SPIRIT PORTRAIT MYSTERY. when and where to look for them. President, Dr. George B. Warne of the National Spiritualist Association. fact that they use the method I have discovered. they do not use the means I have published. opportunity for him to paint for others w^ho are not so hard-headed. canvases faced together and stood in a window as previously described. to which the mediums are to submit. my own be objected to, and the mediums must give the sitting there. mediums will accept my offer. 26 THE SPIRIT PORTRAIT MYSTERY. to be the correct one. to me by Dr. Funk's report of a seance where the mediums used one. general use in many illusions for many years. an illusion on the stage, or in parlors when not using a window. worm screw from my stereopticon light for executing the movement. easel, most of these ideas were utilized. agreeing to pay this gentleman a royalty for its use. MECHANISM USED IN THE STAGE PRODUCTION. move backwards into a kind of hollow box without front or back. open at the back to admit the powerful light. 28 THE SPIRIT PORTRAIT MYSTERY. the canvases is buttoned on to the front of the easel. that do not reflect, can concentrate light. put up with the canvases in it. stage, and selects three that they are sure are unprepared. it. The arc light on a stand is also brought forward and shown. audience, and supported by an assistant holding it at each side. be thinking it over, that there was no floor trap behind the frame. been shoved up through the trap waiting to grasp it. it is also a blank, and the one they have just selected and examined. imagine they are looking through both canvases. is done in different ways. 30 THE SPIRIT PORTRAIT MYSTERY. the fifteen are all taken off. two piles and a committeeman asked to point to one of the piles. remains on the table, or is pointed to directly. means used in substituting this portrait from the wings. through the double coloring for the first production would be compound. materialization will show the tie red. be done by pulling a string running through its base and the stage. This must afterwards at the right time be revolved out of the way. 32 THE SPIRIT PORTRAIT MYSTERY. the portrait should be fully materialized under this colored light. ones requested. I consider this method preferable to the other. pulverized and dissolved in sweet gin, or some good liquid fixative. This is "the spiritual paint" that "defied the chemists of the world." of whom no photograph existed ; the lady recognized the portrait. produce a portrait that the latter should choose on one of them. in the Reviezv of Reznetvs, and the physician agreed to use this list. secretly arranged and numbered a list in advance to correspond. the physician from opening and secretly marking them in advance. he requested the physician to keep the list until they were ready. course the portrait was already in the frame. mediumship got this effect, what could a medium do? when dealing with the mysterious performances of mediums.